74 years ago a dream was established. 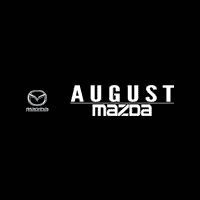 August Mazda was founded by Archie August in the stunning Okanagan Valley during the summer of 1945. It was a simple concept, a dealership that went above and beyond for a devoted community. A dealership with employees that treated its clients the same way they themselves wanted to be treated. It was a family business with honest family values. 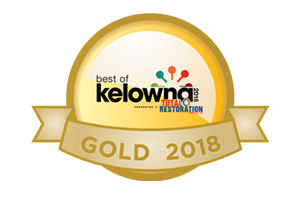 And it’s because of those values that August Mazda has called the Okanagan home for the better part of a century. August Mazda is the bold new face of a progressive culture. Using the path built on the foundation of a respectful and moral business model, we’ve taken what separated August Mazda from the rest and applied it to our contemporary Clubhouse concept. Utilizing our spectacular backyard, the Okanagan Valley, we’ve initiated a new standard of customer relationship. August Mazda is more than a brand, we’re a lifestyle. Whether you enjoy biking along the Myra Canyon Trestles, hitting the slopes of Big White on a fresh powder day or just going for a casual hike on the trails of Knox Mountain, August Mazda has you covered. We are like-minded individuals with a passion for an interactive lifestyle looking to grow a stronger sense of community. No matter your lifestyle, the incredible Okanagan Valley has something for everyone. Fortunately for us, Mazda is the perfect fit for the Okanagan Lifestyle. With endless activity potential, we are fortunate to call this place our home. August Mazda, we are Okanagan Approved. $827,000 raised in the past 4 years. Founded in 2015, the August Family Foundation is our way of giving back to the community that has given so much to us. With the passing of Gary August, we realized just how much our community had touched him. We knew we wanted to create something that would ensure his legacy lived on in the Okanagan. We’re proud to be a major supporting partner of the Okanagan Dream Rally, an event close to our hearts that combined our automotive and philanthropic passions. The Okanagan Dream Rally was founded in 2016 and has raised over half a million dollars to date and has touched the lives of countless kids and their families.